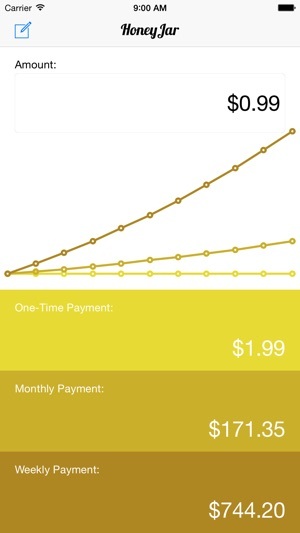 HoneyJar is an app for iPhone and iPod touch that helps you figure out the real cost of your spending. Whether you realize it or not, you put every dollar you earn to work. How? By choosing how you spend it. 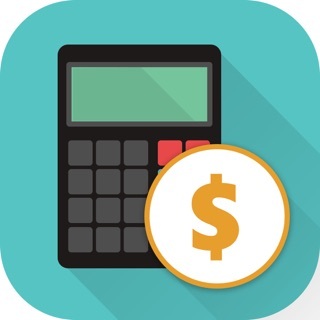 You can spend it right away for an immediate benefit, you can leave it in your checking account for a short-term benefit, or you can invest it for a long-term benefit. Enter HoneyJar. 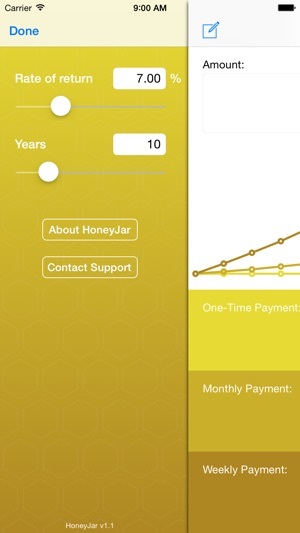 By showing you the real difference between spending today and investing for tomorrow, HoneyJar helps you better decide how to put your money to work. 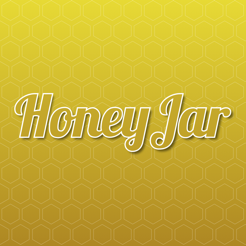 HoneyJar doesn't give you financial advice and won't solve your money problems. 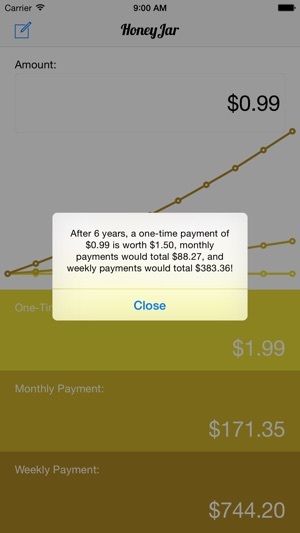 But HoneyJar can help you make smarter spending decisions. © 2014 Dropped Bits, Inc. 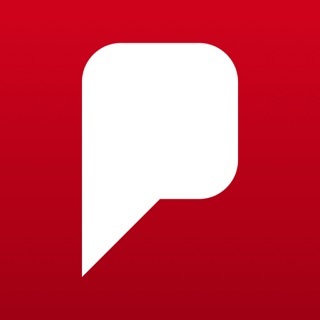 Per – Shop smart. Save money.